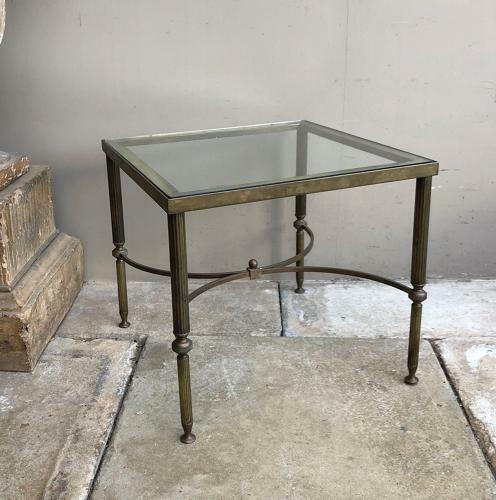 Handy and very attractive Mid Century Brass Glass Topped Side or Occassional Table. The glass is the original and if you look very closely there is the smallest nick on one corner, really not noticeable but I have to mention. Collection or Courier only (UK £45 not including Scotland).